Nestled among rolling hills and dense forest, the Marilla Reservoir in Bradford, PA provides the perfect backdrop for trail racing. 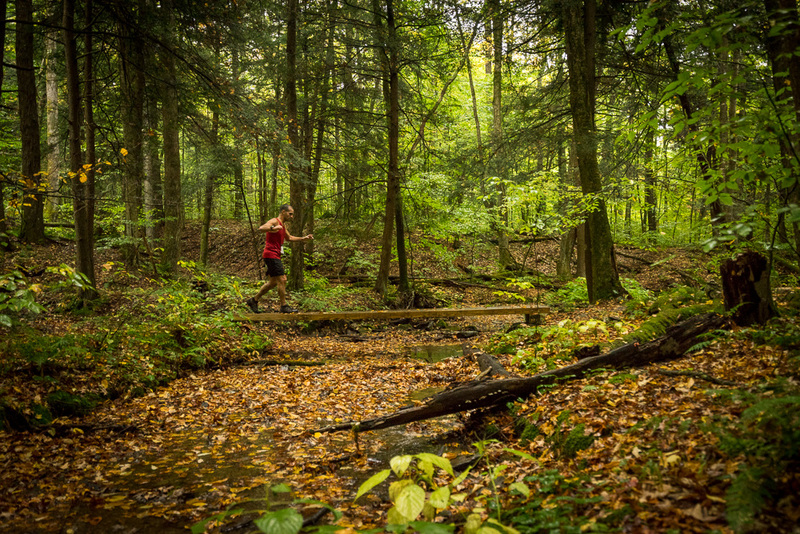 Marilla Trail Race offers the opportunity for beginners, hard-core trail runners, and everyone in-between to take advantage of Bradford's world-class wilderness. Clearly marked trails take runners over a variety of terrain- gravel paths, dirt trails, and winding single track, with aid stations spread throughout. Except for a single road crossing, the 14 mile course is 100% off-road, and the same goes for the 7 mile route. The race features state-of-the-art chip timing by Score This!! !, and after the race, stick around for an awesome BBQ chicken lunch, awards, and door prizes! 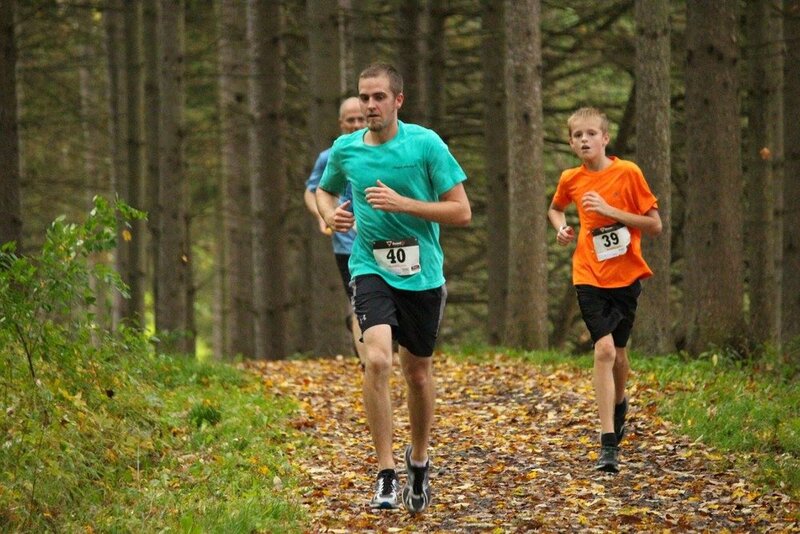 All proceeds from the Marilla Trail Race will go to benefit the Tuna Valley Trail Association and their ongoing commitment to the development and maintenance of trails locally in the Tuna Valley. For more info and updates, like us on Facebook or follow us on Instagram, and click here for directions to Marilla Reservoir. E & M Engineers and Surveyors P.C. 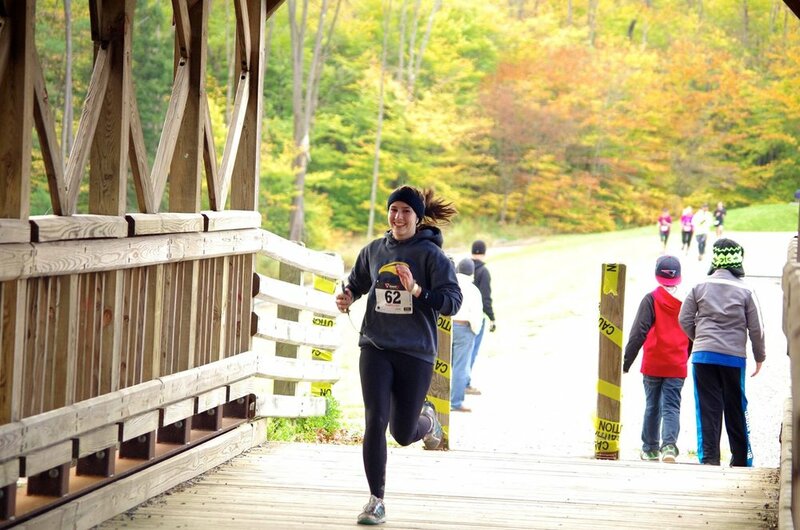 The Marilla Trail Race is Tuna Valley Trail Association's premier fall event. Formed in 1998, the goal of the TVTA is to develop multi-use trails throughout the scenic Tuna Valley, and to provide accessible recreational opportunities to residents and visitors. Now in it's 16th year, TVTA has over 30 miles of trails in use, and even more in the planning stages. 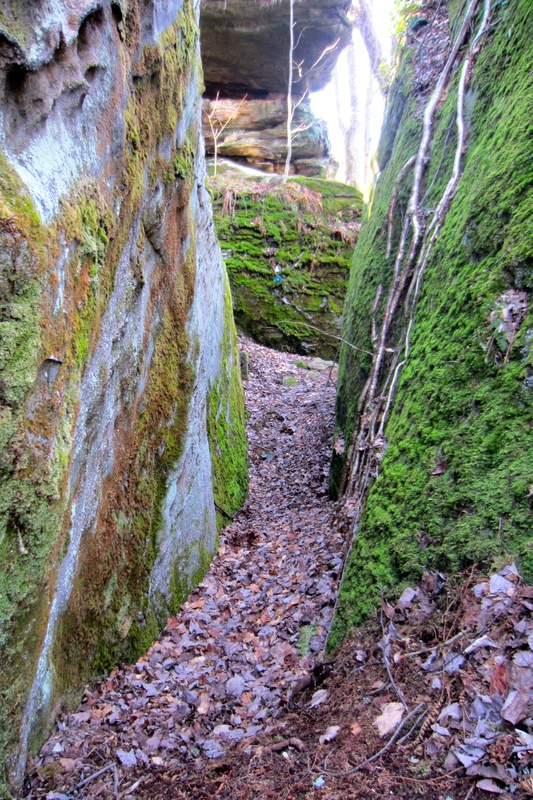 For more information, including printable trail maps, visit tunavalleytrail.com. 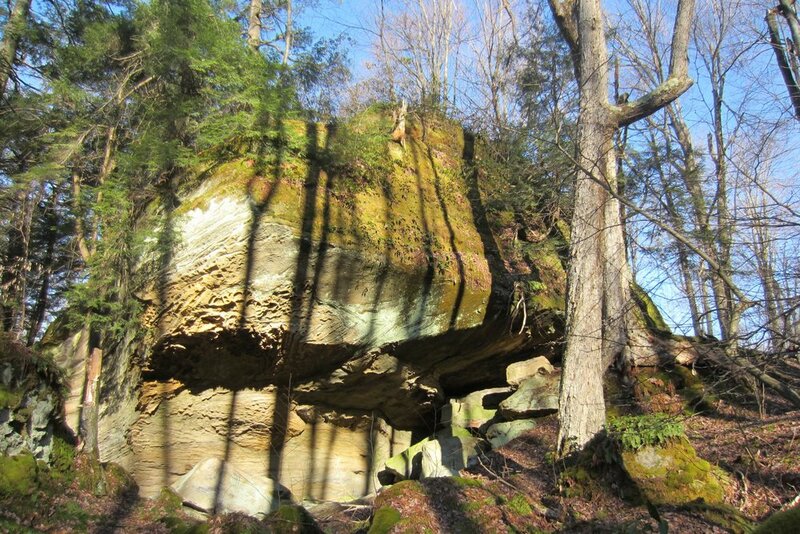 For even more info on local outdoor recreation, check out Allegheny National Forest Visitors Bureau. email us at hello@marillatrailrace.com, and we will be happy to remove it.